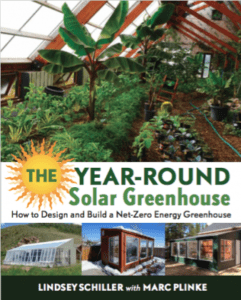 So, you want a year-round greenhouse? Time to dig deep (literally). 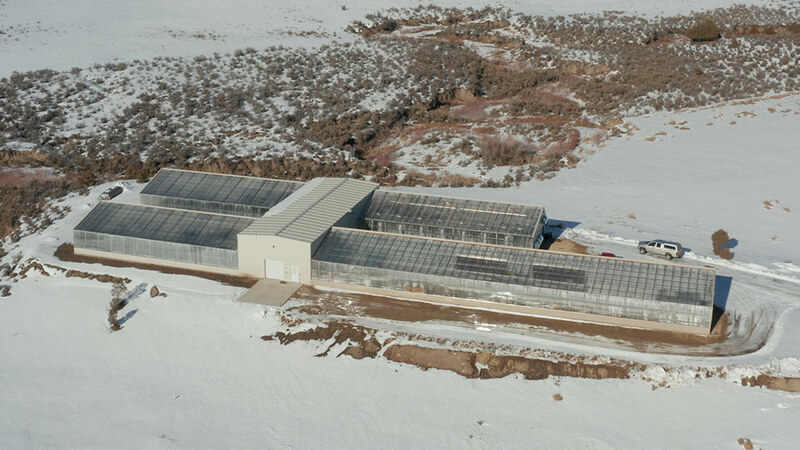 At Ceres Greenhouse, we design and build super energy-efficient, year-round greenhouses that are built to last. 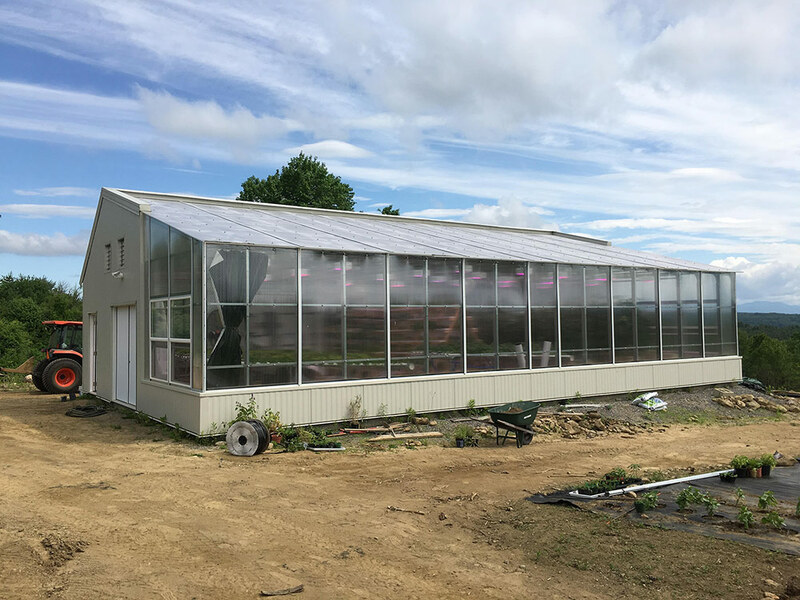 We talk a lot about growing bananas, citrus, figs, tomatoes and other fresh fruits and vegetables, but we rarely “dig deep” to discuss the first steps of building our greenhouses: the foundation! 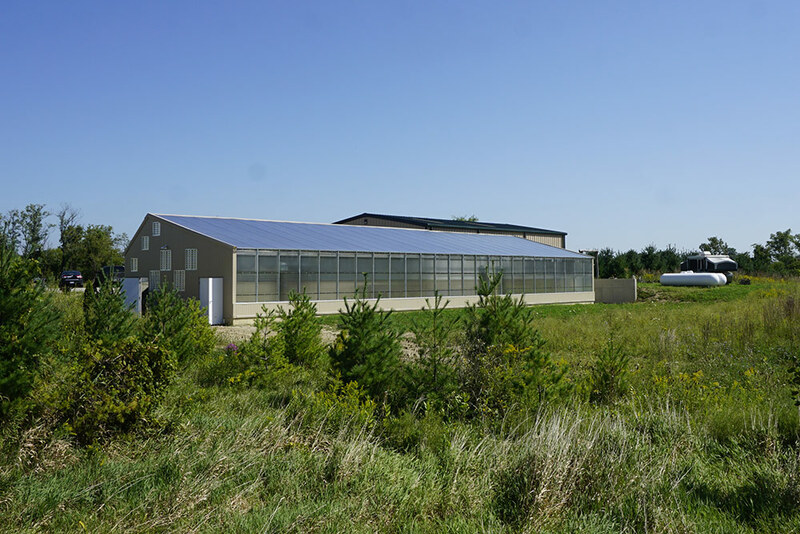 When you research solar greenhouses, you rarely get to see photos of the foundation. It’s not the sexiest topic, but it’s one of the most important parts of a Ceres Greenhouse, or any solar greenhouse for that matter. In any of these cases, we recommend first contacting us, and talking to a structural engineer before beginning the project. 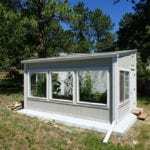 If your greenhouse needs to be permitted, a foundation plan may be required. 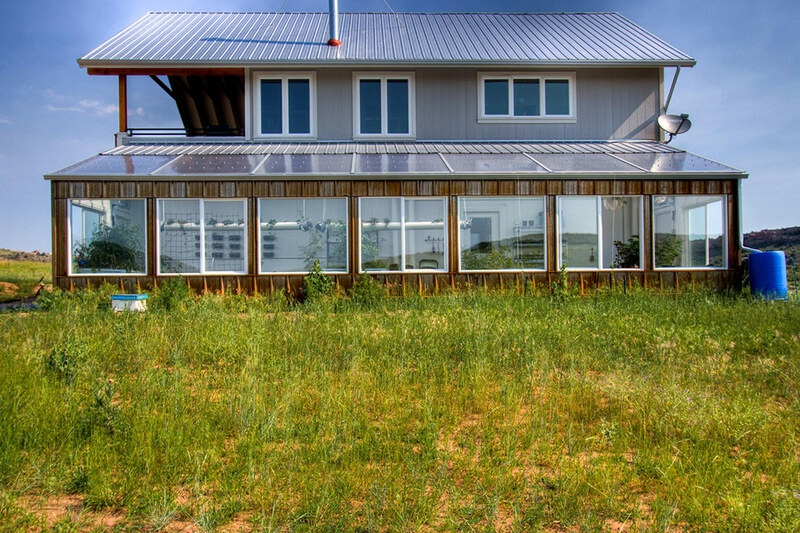 At Ceres, we offer consulting and optional foundation plans as a part of our solar greenhouse design and installation packages. 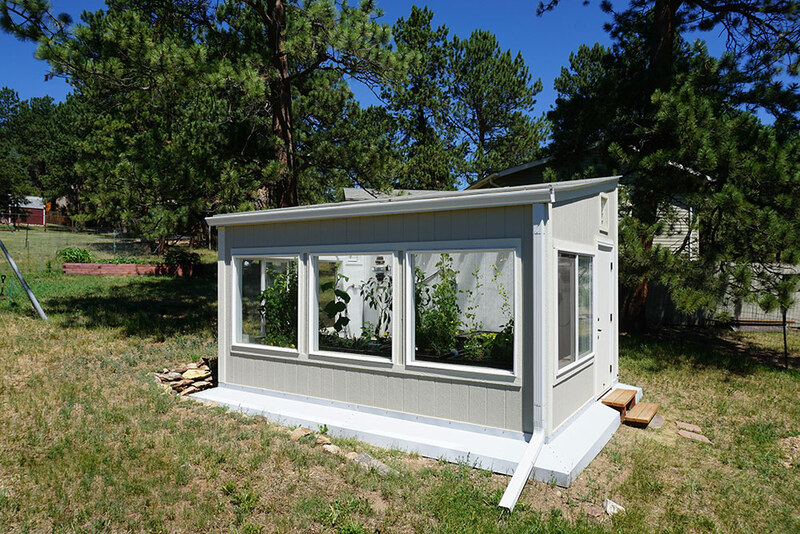 Place the greenhouse on a level surface, usually cinder blocks, bricks or gravel in order to create a level base and floor inside. 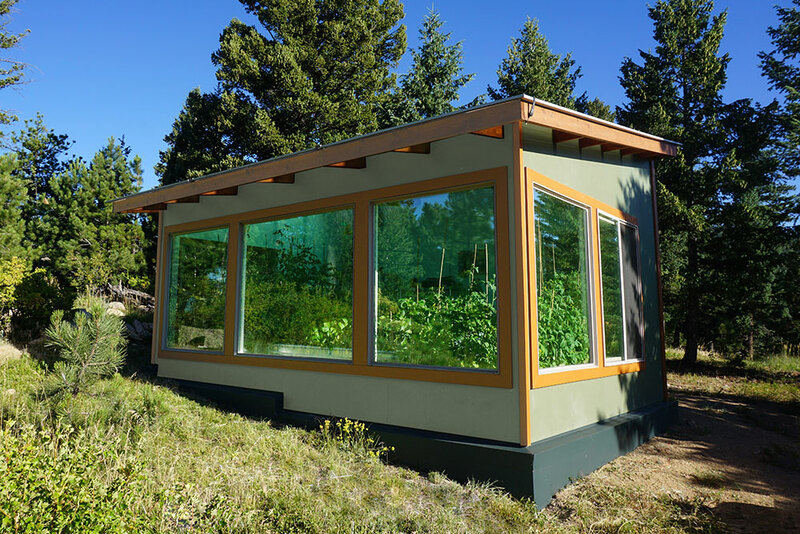 Attach the greenhouse to the ground using earth anchors. These add some protection to keep the structure in place during big wind events. These are steel anchors attached to a cable (which attaches to the base frame) and driven into the ground. 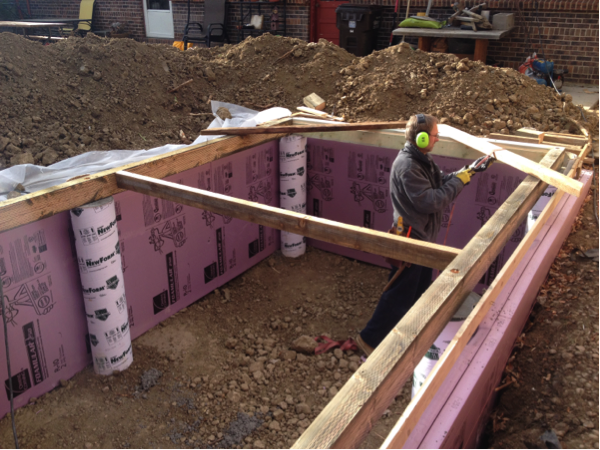 Even without a foundation, we still add insulation around the foundation. 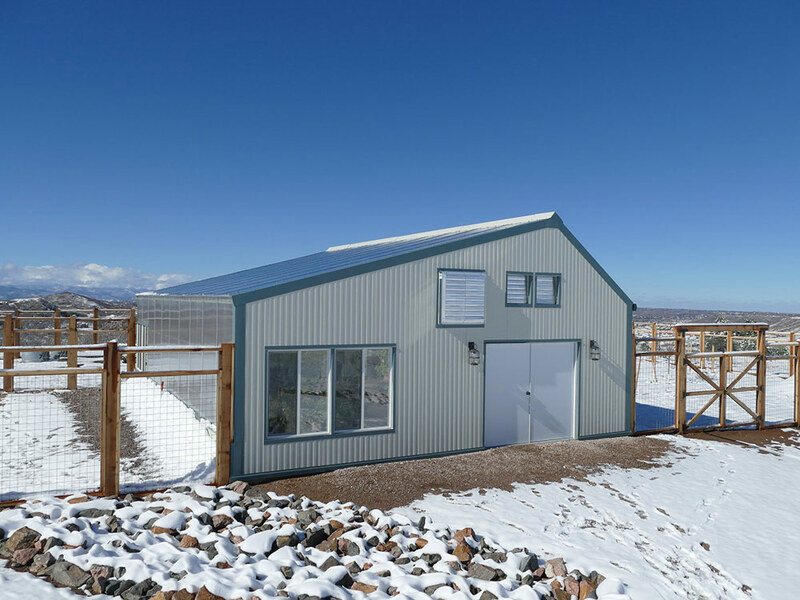 This allows the greenhouse to take advantage of the thermal mass of the soil underground – it uses the soil as a heating source in our Ground to Air Heat Transfer (GAHT) system. Concrete piers are simple concrete tubes buried about 4’ down and spaced out around the perimeter of the greenhouse. 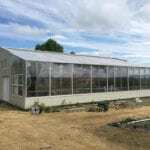 You install them either using an auger or by excavating the entire footprint of the greenhouse. 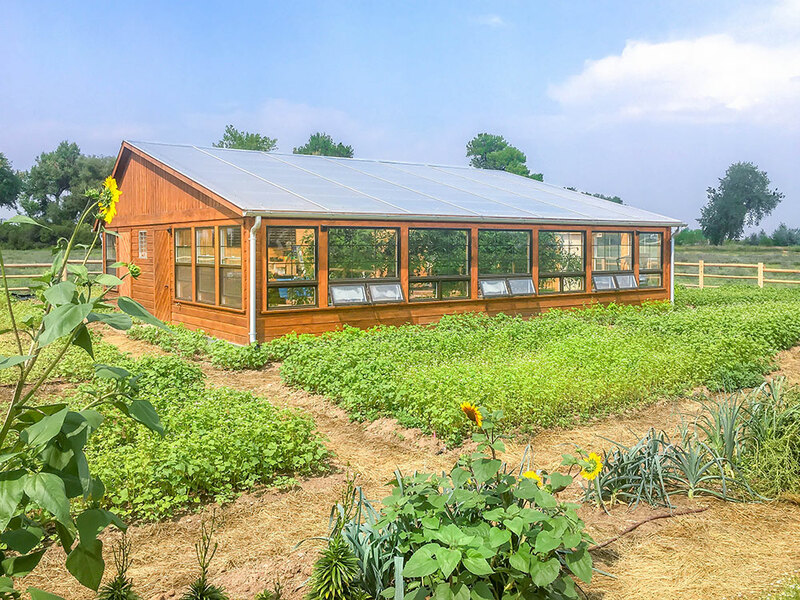 If using an auger, lay out the footprint of the greenhouse on the bare earth. Usually, we rent an auger (8” or 10”) and drill holes at least 4 feet deep. This allows the piers to extend down below frost line so they won’t move during the winter. Then, install cardboard tubes and fill them with concrete. Allow some of the concrete to bulge out below the bottom of the tube to create an anchor or footer. Make sure the top of the concrete is level from tube to tube, to ensure the greenhouse base frame will be level. 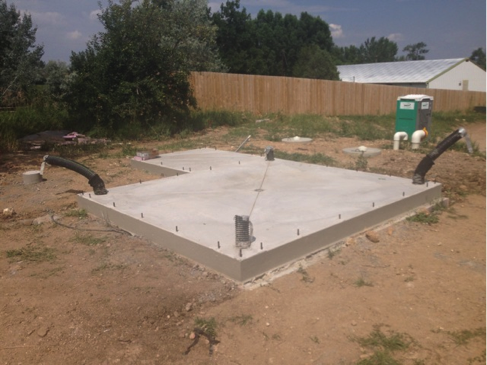 Once this foundation is set, you can insulate the foundation using the Swedish Skirt method. 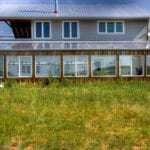 As mentioned above, this is an important step in minimizing heat loss, and creating an energy-efficient greenhouse that grows year-round. Excavate the entire footprint of the greenhouse plus 8” (to accommodate for the 4” of foam surrounding the foundation). Place the empty cardboard tubes as needed, and connect them with a rough 2×4 frame to secure them in place while filling them with concrete. This frame will be removed before backfilling. 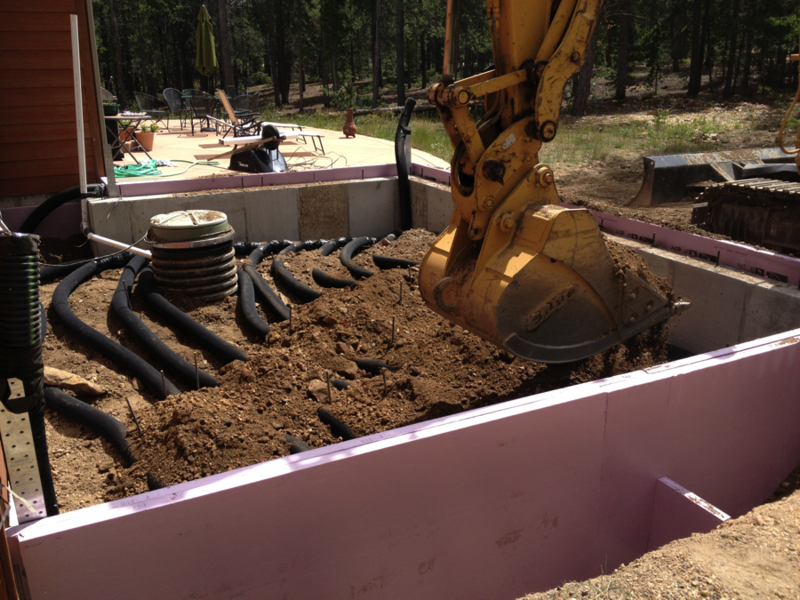 Fill each tube with concrete, making sure the concrete is level from tube to tube. 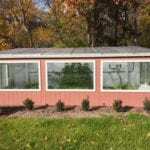 Install the base frame of the greenhouse, connected into the tops of the concrete piers, to reduce movement during backfill. Install insulation around perimeter of concrete piers, and install GAHT system at this time as well. Backfill gently. 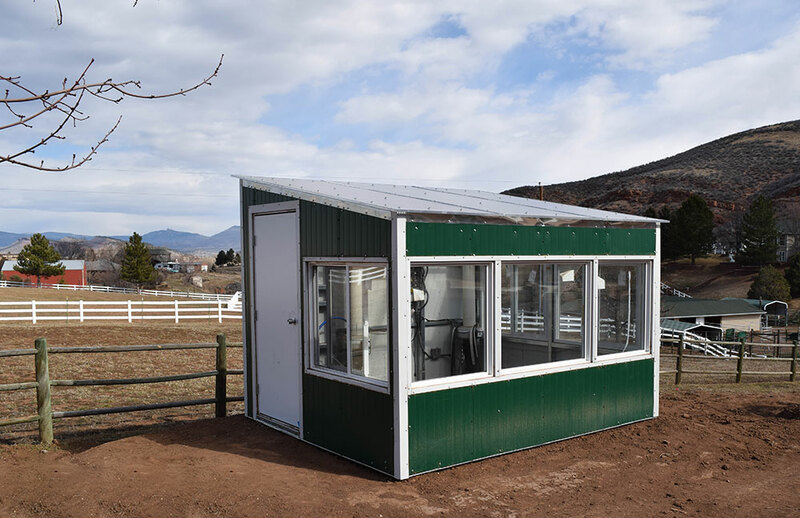 For residential greenhouses, an experienced contractor or handy homeowner can install a piers foundation (after it has been designed or approved by a structural engineer). Check with us if you are not sure or have questions. 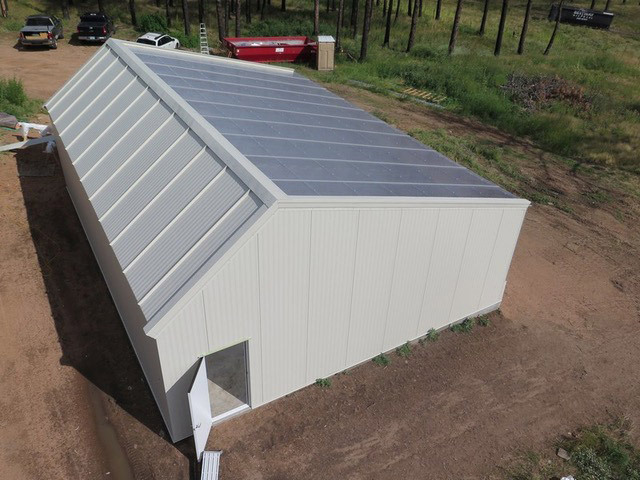 Excavating the entire footprint of the greenhouse has the advantage that you can install underground insulation and our self-heating / cooling system (GAHT system) can be installed all at the same time. 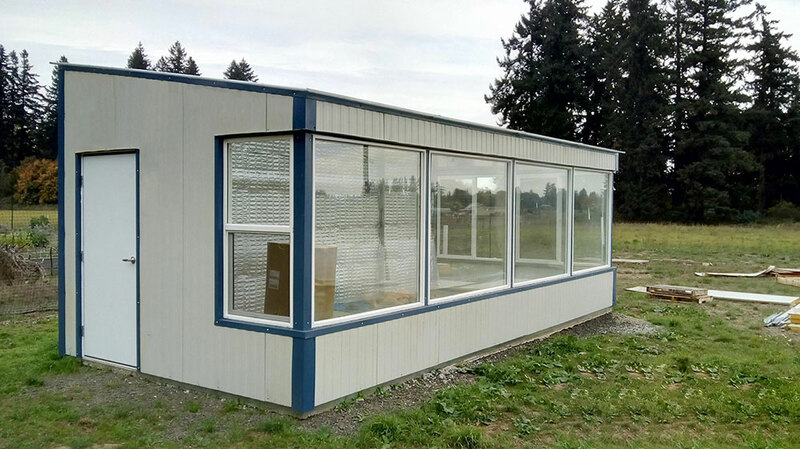 A concrete slab is common in commercial construction, and can be used in any size greenhouse. It provides a nice, clean flooring surface (particularly nice for aquaponic greenhouses as it creates a level surface for tanks). 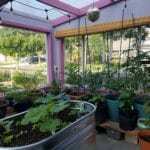 The first thing to remember when pouring a slab for a greenhouse is to include proper drainage. Drains should be used every few feet so that excess water will not pool inside. Adding some slope to guide water to the drains is a good idea as well. Most of the slabs that we pour are “on grade”: poured on the existing soil after it has been leveled. Leveling requires some excavating, depending on your site. In cases where the greenhouse will be built into a hillside, you can use a slab in conjunction with a retaining wall (see section below). Otherwise, a standard level site is all that’s needed. We usually use a thickened edge, meaning that the slab is thicker around the perimeter, usually a foot or more, while the slab itself is usually 4” – 5” thick. We reinforce the slab with rebar to ensure its strength. J-bolts are set in the concrete during pouring, and are used to secure the greenhouse to the slab. 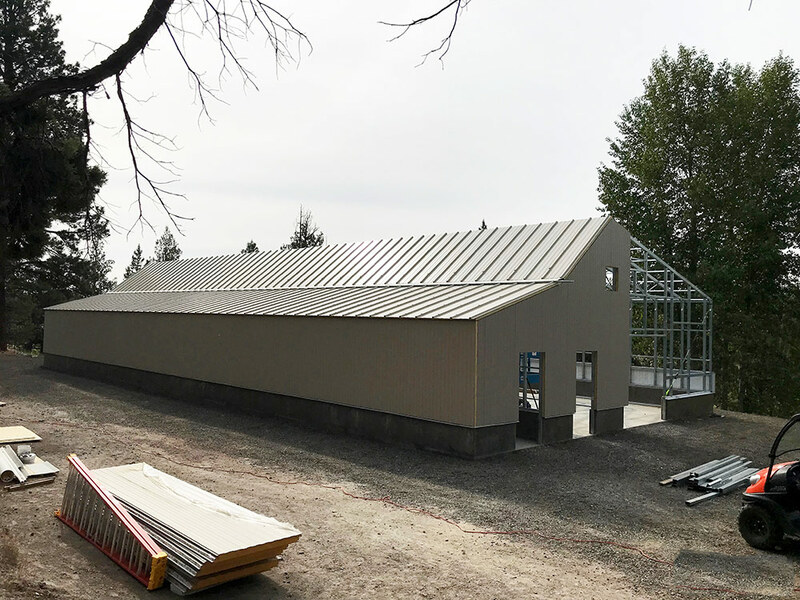 If installing a GAHT system underneath the slab, we excavate the footprint of the greenhouse before pouring the slab, install the GAHT system and vertical insulation, then backfill to the surface. Any foundation needs undisturbed soil to properly hold the foundation in place. Thus, if going this route, you need to water down the site and let the excavated zone settle for a few days or weeks, then pour the slab. 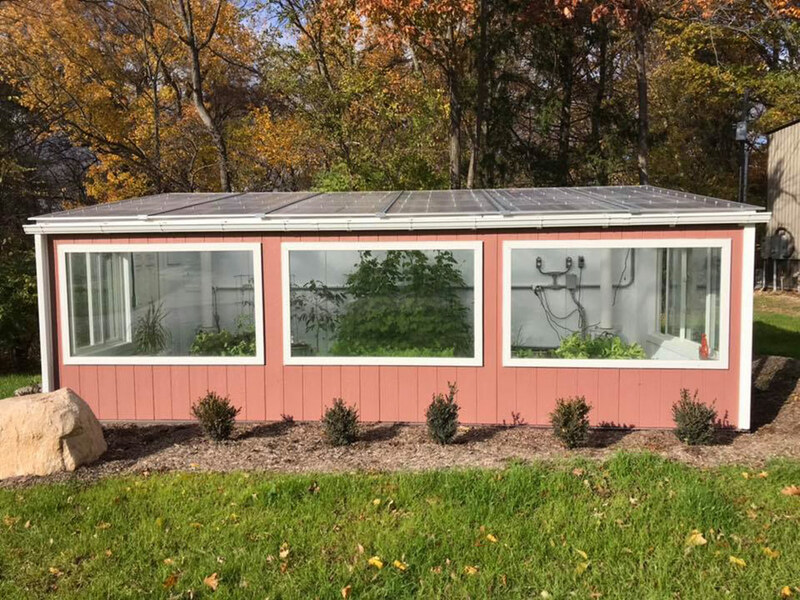 Once the slab is poured, the greenhouse can be built or installed on top, connected to the J-bolts, as shown in the video below. 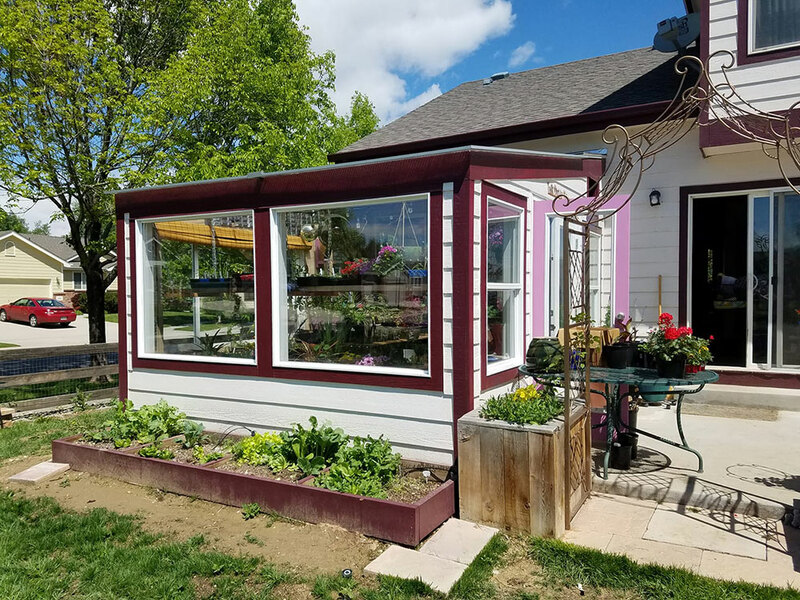 This is the most robust foundation option that we deal with as it involves pouring a concrete wall around the perimeter of the greenhouse about 4’ down, or below frost line. A foundation wall is also the most stable and commonly used in homes and commercial construction. To install a foundation wall, you would excavate a large trench deep enough to get past the frost line with an excavator or backhoe. Then pour a footer, using rebar in the footer. Rebar also sticks out of the footer to connect to the future foundation wall. A few days later, once the footer has cured enough, you pour a foundation wall up to grade. 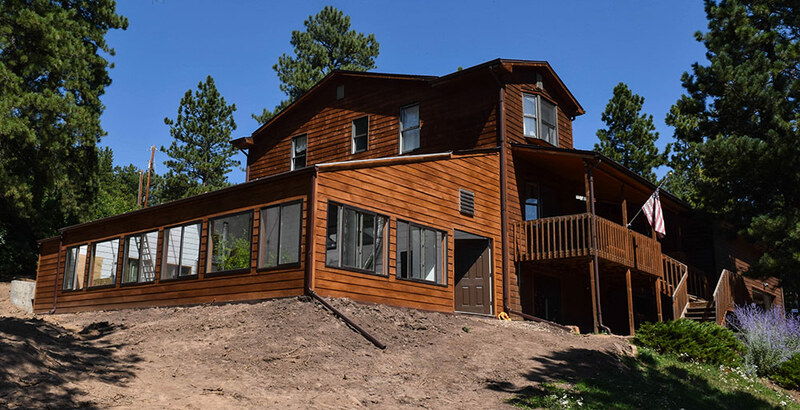 Once the wall is cured, remove the concrete forms, insulate the exterior of the foundation wall, and backfill. 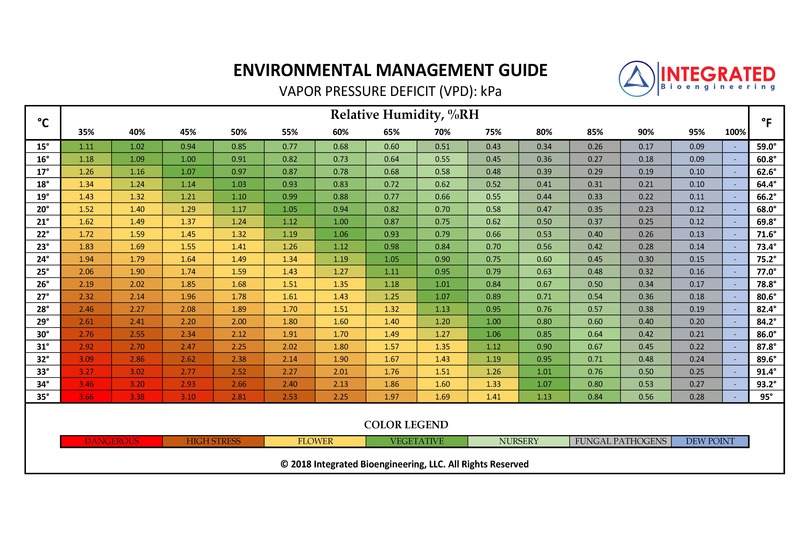 So which is right for your greenhouse? This is entirely determined on a case by case basis. 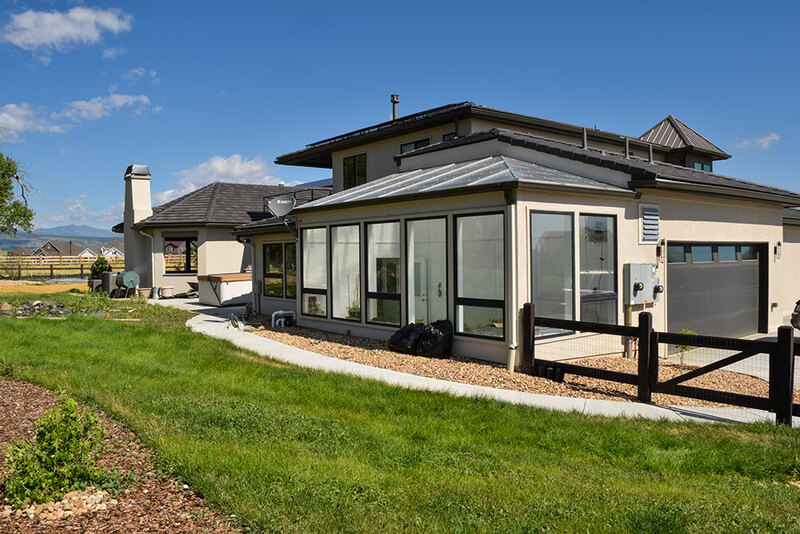 Your soil, greenhouse size, and construction type will determine what you need for a foundation. Larger greenhouses will need more robust foundations, as will those in locations with high wind loads. It’s best to get input from a local contractor if using one and a structural engineer. This is not the place to skimp! Ask us if you have questions.